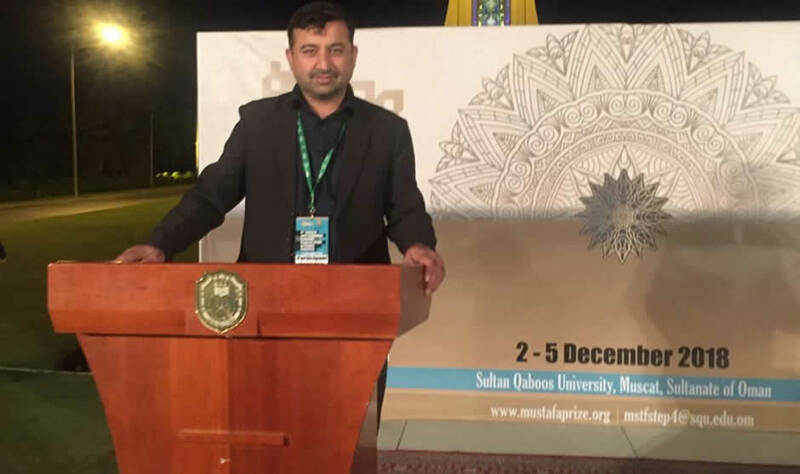 Dr. Momin Khan, Assistant Professor Department of Chemistry, Abdul Wali Khan University Mardan, KP has participated as an invited speaker in “4th Science and Technology Exchange Program (STEP) in Islamic Countries” conducted at Sultan Qaboos University Oman dated 2-5 December 2018. The summit was jointly organized by Mustafa Science and Technology Foundation and Sultan Qaboos University Oman. Beside conference activities Dr. Momin Khan also met to Dean College of Science Prof. Salma Mohammed Al-Kindy, Prof. Fakhr Eldin Suliman head of Department of Chemistry and Faculty members of the Department of Chemistry for future collaboration.